I invite my reader to make an exercise of the imagination and transfer himself beyond the centuries - if this were possible - to a room in the modest house of the Holy Family in Nazareth. 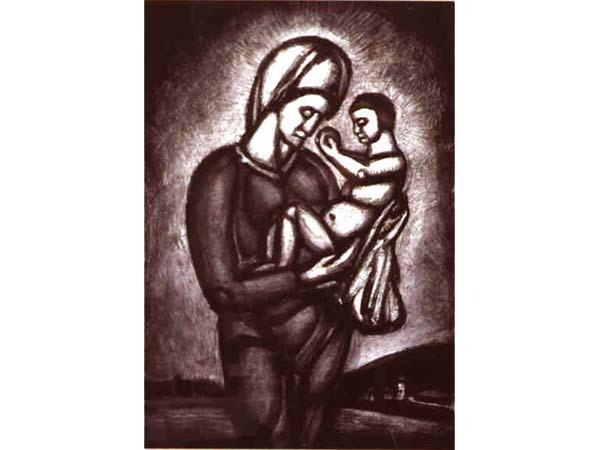 There, suppose he were to see the Virgin playing with the Child and they were exactly as Rouault depicted them in the painting above. Would this sight satisfy the expectations of the reader? Would it correspond to what he imagines the Mother of God and the Word Incarnate Himself to be? Would he find in those personages an authentic reflection of the Catholic spirit, of the ineffable virtues of Jesus and Mary? Obviously not. Therefore, whoever strives for Catholic art to reflect the spirit of the Gospel and the Church in a dignified and fitting way cannot be indifferent about pictures like this being disseminated among the faithful. What would people end by thinking about the Holy Family if they were to only to have pictures or statues of this genre? Catholic art – with its special characteristics - has the mission to help disseminate sound doctrine. No one can consider that Rouault’s picture does this. 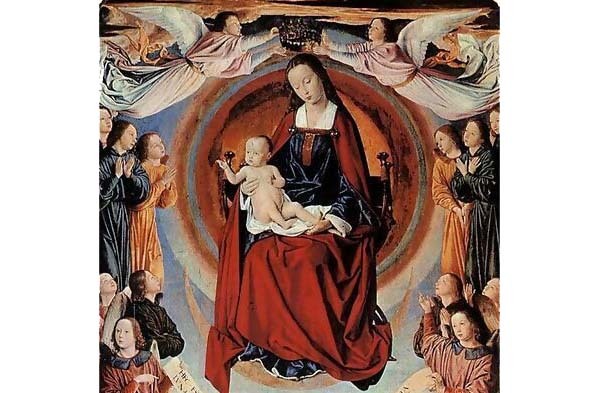 To better clarify these affirmations, the reader may consider by contrast how effectively the picture below by Maitre of Moulins (15th century), which also represents the Virgin and the Child, helps us understand through our senses what the Church teaches us about Jesus and Mary.